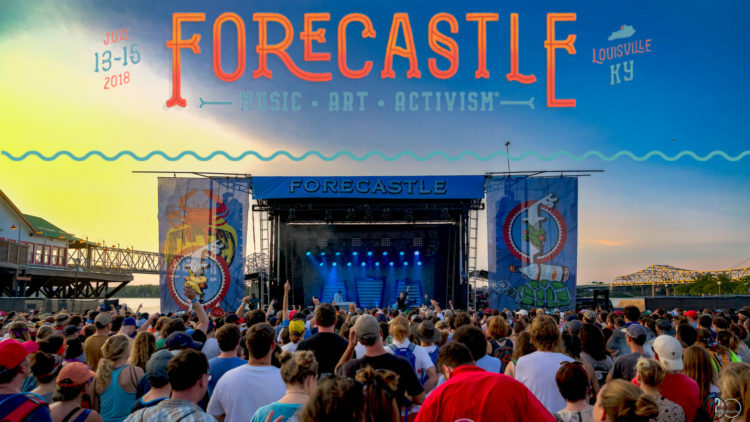 Forecastle Festival in Louisville, KY will be returning for its 16th year this July 13-15, 2018. The headliners of the three-day festival will include Kentucky native Chris Stapleton, indie rockers Arcade Fire, alt-rock icons and Modest Mouse. 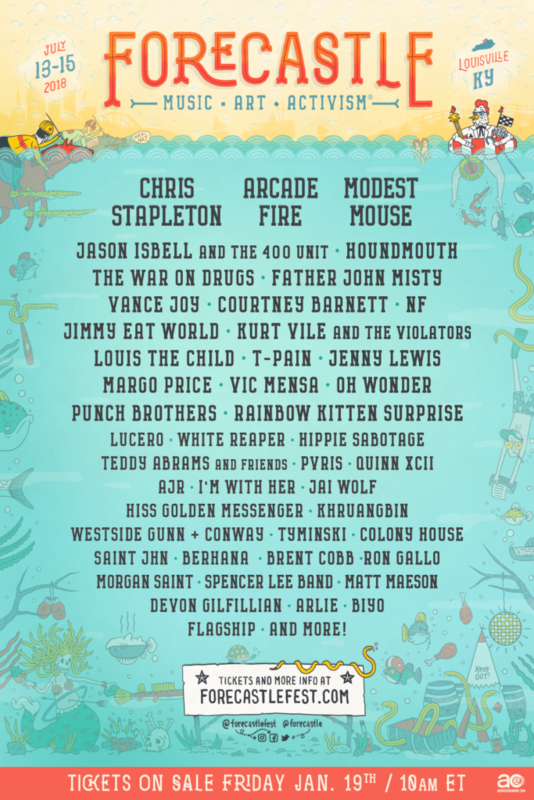 Some other acts include Jason Isbell and the 400 Unit, The War on Drugs, Kurt Vile and the Violators, Father John misty, Courtney Barnett, Jenny Lewis, T-Pain, Margo Price, Punch Brothers, Houndmouth, Hiss Golden Messenger, and several more. GA weekend and daily passes go on sale this Friday on the Forecastle website.